Chico Fernandez was born in Havana, Cuba and moved to South Florida at a young age. He had already begun saltwater fly fishing while living in Cuba and when he moved to Miami, quickly fell in with several other young fly anglers, Norman Duncan, Flip Pallot, and John Emery. With his friends, and also on his own, Chico experimented with flies, lines, rods and reels, and helped develop many of the saltwater fly fishing techniques in use today. Eventually, Chico left his corporate job to carve out a life that revolved around his passion for saltwater fly fishing. He is an instructor, author and a highly sought after expert by rod and tackle companies, and has led groups and fished the world over from New Zealand, Spain, Costa Rica, the Caribbean, Yucatan Peninsula, and Alaska. The Seaducer, Bend-Back, Bonefish Special, and Snapping Shrimp are all flies developed by Chico that are still excellent patterns today. His book, “Fly Fishing for Bonefish” is considered the definitive work on pursuing bonefish with a rod and flies, and will provide any angler, novice or experienced with an in-depth look at the tools, and skills necessary to pursue bonefish anywhere in the world. 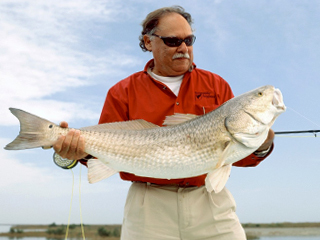 His forthcoming book, “Fly Fishing for Redfish” promises to be every bit as comprehensive. When you meet Chico, his passion for the sport, and lifelong enjoyment are evident and contagious.